It's pretty easy to tell if it's a wig, with thicker hair strands and bulkier hair. Real hair are pretty thin in comparison. 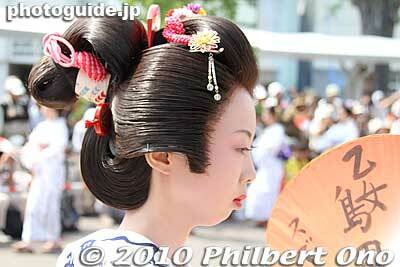 Although Japanese women's hair might've been thicker in the old days.